Cowdrey et al. (2005). 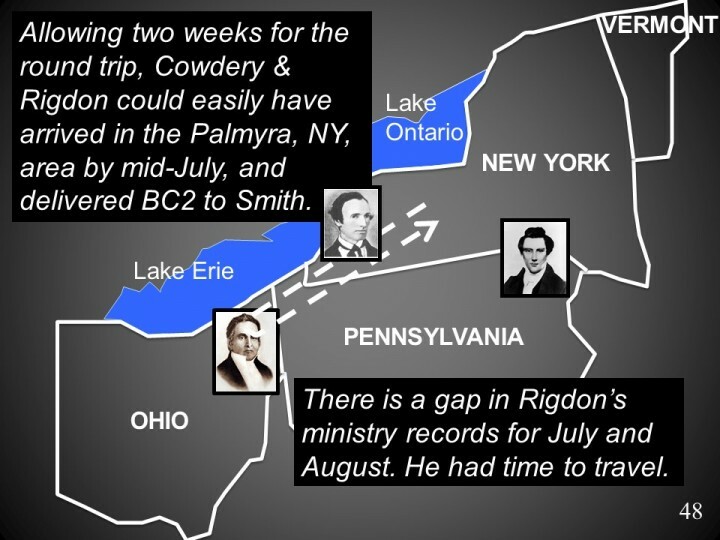 “Who Really Wrote the Book of Mormon”, page 300 & pages 425-428, Appendix 7 (time for travel) and page 341 (Rigdon’s whereabouts).